© Louise Levergneux. Eufuala, Oklahoma, to the cows! In mid-October I paused in Ardmore, a business, cultural, and tourism city in the county of Carter County, Oklahoma on my way south to Texas. I sojourned for two nights at Basecamp — a lodge house that offers adventurers a pleasant place to downshift between epic excursions. We parked in the driveway of Jerold and his wife Sandra Wells as boondockers. As I mentioned in the past in various blog posts, traveling brings me in direct contact with many artists. Steadfastly keeping my eyes and mind open means meeting people that frequently introduce a fellow artist in my life. This is precisely how I met Jerold W. Wells, the talented artist and successful creator of beyondART. 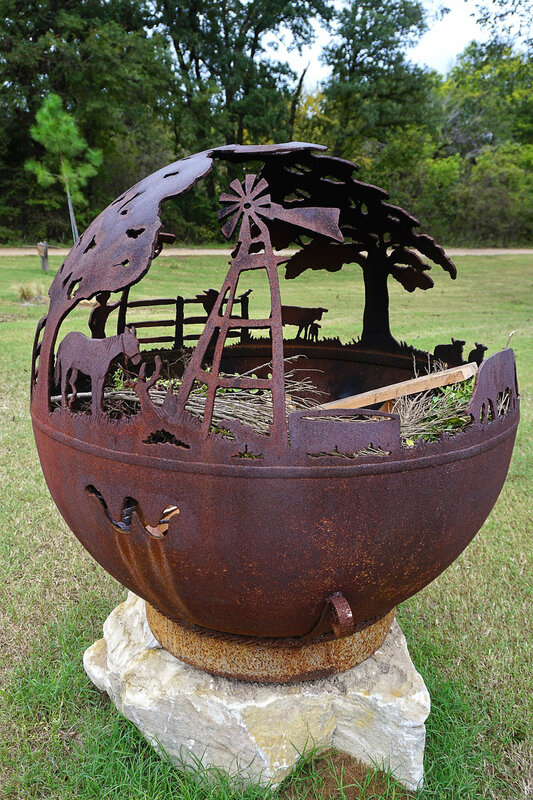 Jerold is a self-taught artist who has mastered the art of turning trash to treasure, creating wonderful functional sculptures. His generous and passionate nature is clearly seen as one looks at his work. As I walked leisurely outside his studio, fire-pits created out of old propane tanks stood out. Jerold’s attention to detail varies from theme to theme. 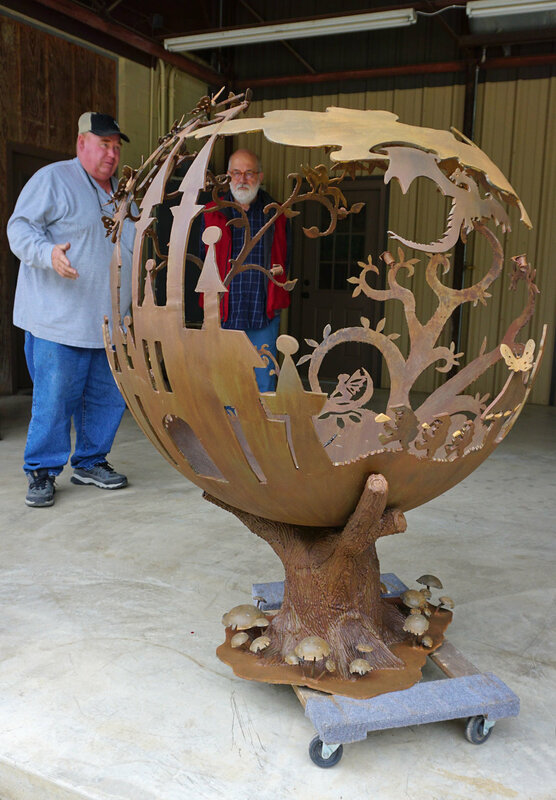 One can see his bronze sculpting, up-cycled, functional, architecture all around downtown Ardmore, even in the form of art signs, real-estate designs and sculptures! © 2018 Sandra Wells. This post is in memory of Molly, a Schnauzer, who created good vibes in the few hours we met. Unfortunately Molly passed away while we visited Basecamp. She will be missed by Jerold, Sandra and brother Airedale Evans. Traveling cultivates many ideas. How do your ideas come to mind and to fruition?